Custom guitar bottle opener – red is a choice for marketers who are trying hard to position themselves in customer’s consciousness. This bottle opener keychain works for most in music related businesses, entertainment business or show organizers, etc. It can be handed out as an acknowledgement or as an appreciation token at the end of some event. This guitar bottle opener – red also serves perfect for marketers who are trying to attract young customers to their brand. 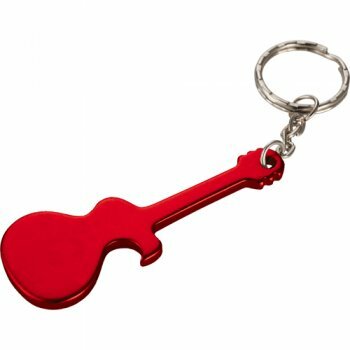 Value price savings and other benefits can be availed on bulk orders of this guitar bottle opener –red. 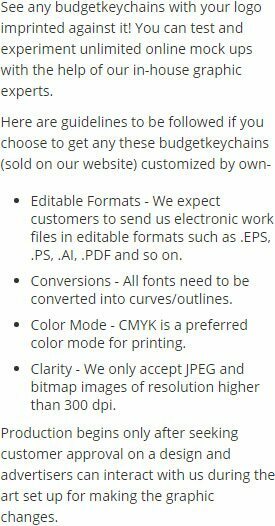 Request a quote to know about discounts and value benefits that you can receive on bulk orders of guitar shaped key ring. Features – Red guitar shaped aluminum body with a metal split key ring.